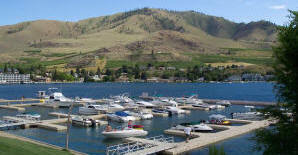 The 100 Slip Lakeshore Marina offers quality boat moorage with or without power, in the heart of the city. Free Pump-out station, launch and ample pay parking are all conveniences offered by the Lakeshore Marina. Chelan County PUD Lake Level Report for current lake level, history, and projection. 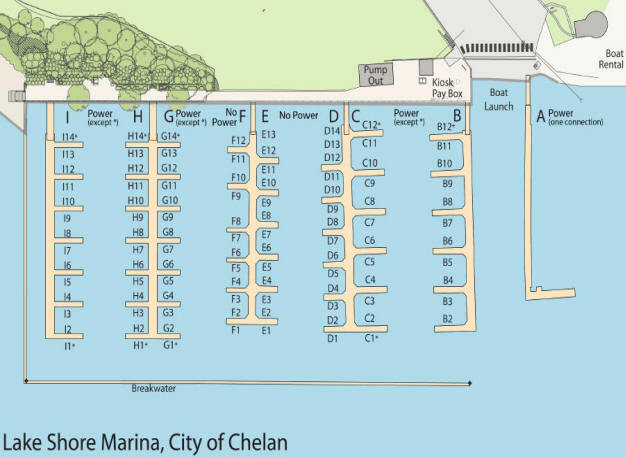 View the Lakeshore Marina slip map. See details on the 2019 Lakeshore Marina rate schedule.